With a sunset like this one as I was driving past Pierre's most famous ice cream stand recently, I just had to stop and shoot the combination of colors. Check off another neon-lit nostalgic tourism attraction on my list of places to photograph. More info about Zesto is here. By the way, for those of you reading this on Facebook, the pictures look better and there is much more information at www.dakotagraph.com. The neon-lit nostalgic tourism attraction on my list of places to photograph. Great photo! 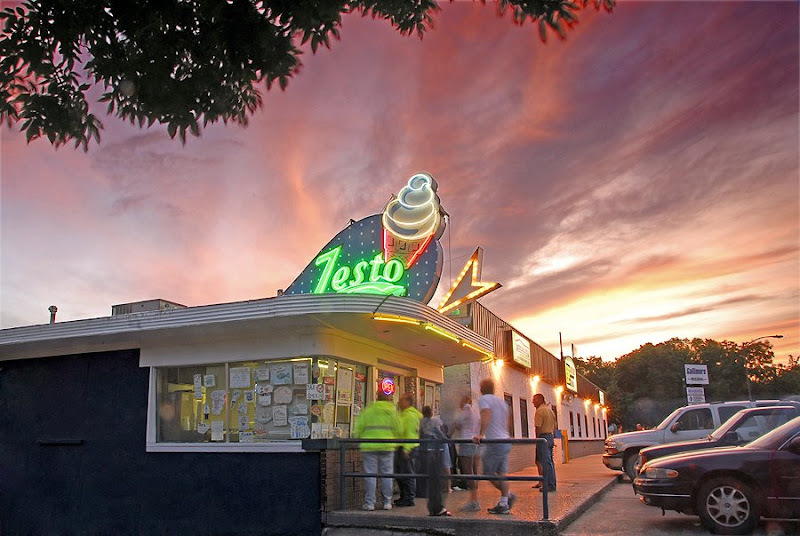 I immediately remembered many a wonderful summer night at Zesto's. Thank you.